My family eats fast food and stuff that comes in packages. It is true. I have even tried justifying a burger by claiming that the piece of lettuce counted as a serving of vegetables, but I'm pretty sure that no one was fooled. In order to get an actual serving of vegetables, we eat salads. Salads fulfill all of my requirements: they taste good and count as a homemade meal without having to actually cook anything, and Katarina and Thomas like them too. After seeing that the 2010 Dietary Guidelines recommend eating more tomatoes, I read about all sorts of health benefits from tomatoes.....they are good for my heart, full of potassium and lycopene, and reduce the risk of some cancers and osteoporosis, but that was not enough to get me to toss some into my salad. When it comes to tomatoes, I'm only going to eat ones that are cooked and added to something yummy, like a Bloody Mary or salsa. It turns out that my instinct to eat cooked tomatoes has actually been helping me all these years. Cooked and processed tomatoes have a higher level of lycopene than raw tomatoes. Cooked tomatoes are better for me than raw tomatoes, and I should be eating them....finally a healthy food recommendation that agrees with my taste buds! In the spirit of being healthier and eating more tomatoes, I'm going to share a recipe with you. This is dedicated to my daughter, Katarina, who also loathes raw tomatoes, but was willing to sneak some of the yummy cooked kind in a salad dressing (we had a very fun afternoon playing around in the kitchen and getting this just right)....Salad with Salsa Dressing! You start by making salsa. Open the can of Hunt's Tomatoes and Onions and use a fork to break up the tomatoes (you could go all fancy and use a food processor, but a fork works just as well, and is easier to wash) stir in diced jalapeño peppers, cilantro and a generous splashing of lime juice (I drink my water with lime juice, so I always have a bottle in the kitchen, but you could also juice a couple of fresh limes if you have them). 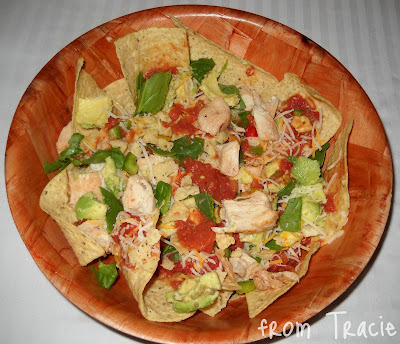 Once your salsa is made, restrain yourself from opening up the tortilla chips and eating it. 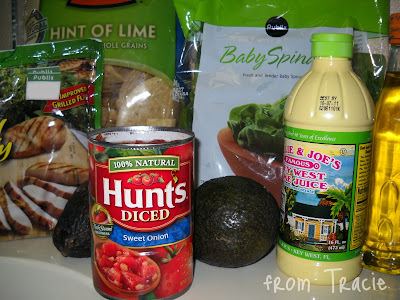 Smoosh in one ripe avocado and add olive oil until it reaches the consistency you like in a dressing, toss in a little salt and pepper, and you will have Salsa Salad Dressing. 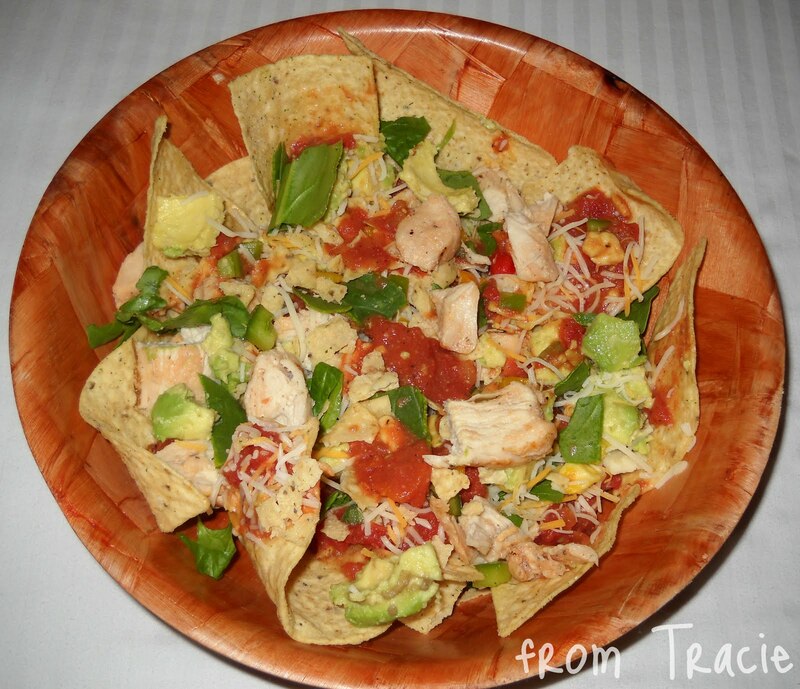 Toss it all in a bowl, top it with your Salsa Salad Dressing, and enjoy! This post is part of a campaign from The Motherhood and Hunt's. I was compensated for my time and creation of a recipe, and was provided some literature about tomatoes. The opinions are all mine....and the recipe belongs to me and Katarina, but feel free to use it in your kitchen, because it is yummy! This looks incredible. My little brother hates raw tomatoes too. I never understood it. And, now he's a chef! He's come around a bit, but still would prefer them in their more healthful, cooked variation. Too long since I've visited your blog Tracie -my loss of course! Hope all is well in your world. I love the salsa recipes. It's new to me in India but quite akin to some of our sauces (we call them chutneys) and I like the variations of the recipes of salsa I've come across. Take care and enjoy eating healthy! I commend you for your salad eating! I love salad, but my kids aren't there yet. Re: lycophene--did you know that the Heinz Organic Ketchup has 4 times the amount as regular? 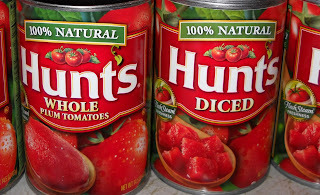 I love tomatoes and my son picked up on the habit. We cannot keep tomatoes in our home! LOL! I have to tell you, this salad looks and sounds delicious! Thank you for the idea! That looks good! I'm the opposite and so are the kids. 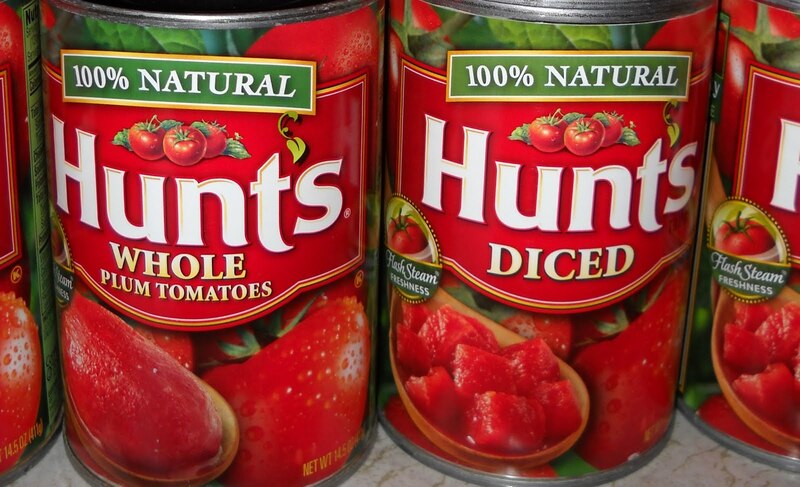 I love raw tomatoes. I dip them in dressing or sometimes eat them sliced with a little bit of salt. So good. I am not a fan of cooked tomatoes. Especially on pizza. Diced tomatoes on pizza gross out. I pink puffy heart tomatoes, and in all forms. Though the massive amount of salt I add to them must cancel out some of the "good." Yum! I love salads with a bit of crunch. The TO and I don't like raw tomatoes either. Sounds and looks good enough to try. Going to the grocery store tomorrow. Thanks Tracie!